So you may have noticed that a new list didn't go up yesterday. I had a bunch of crazy issues going on, and they only got more complicated this morning. After dropping off my husband at work and stopping by two grocery stores on the way home, I sat on the couch to have some breakfast and take a few minutes to regroup before a hectic day. But, when I turned on the tv, the cable wasn't working. Long story short, I ended up doing online chat support and tweeting my provider, trying to get a quick fix. Twitter (which served me wonderfully at my two most recent previous residences) was slow and not very helpful. I attribute that to the fact that characters were so limited that it was difficult to describe my (complex) problem. I also added myself to the online queue, since this was the first time I was trusting twitter with my new provider. At the same time, I was trying to remedy it myself by rebooting everything. Which, of course, knocked me out of the queue since my internet and cable are through the same company/device. Silly me. Eventually it was my turn for support, and things weren't uber-quick. But, I was understood, not belittled, and everything turned out okay. I had to try several different things, and while I was waiting on them or waiting on the support guy, I managed to swiffer four rooms and a hallway, plus vacuum and clear off the dining room table. This was fortunate, since I was on a pretty extreme deadline. It took forty minutes or so, but everything got working again. I gave up on twitter help, which was a good thing. I was eventually told it would take a day or so to resolve the issue. I'm really relieved it was this fast. At two said previous residences, twitter solved every problem I had. The place before that never had problems. The one before that had a TON of random issues, many of which were unsolvable because of the way the townhouses were wired for cable. But, since we had random issues all the time, we got free HBO as a concession for the troubles. We had even more problems with the internet there, but that was years ago, so I'm over it. Anyway, having problems with my cable this morning reminded me of the olden days when I was a kid. Bad weather knocked out the cable. 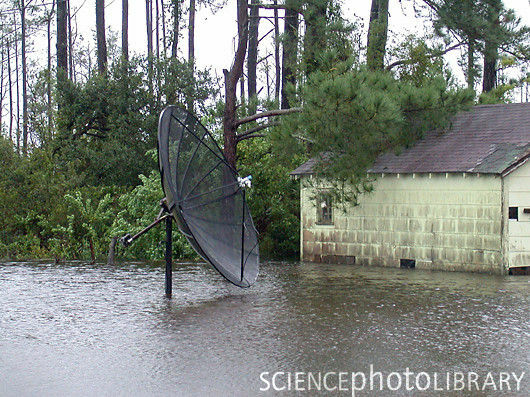 Heavy wind moved the antenna. 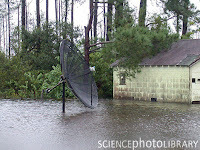 I've been to friends' houses where heavy rain knocked out the television because of underground wiring. On more than one occasion I've seen a family member on the roof, moving around a dish or antenna, trying to listen to someone shouting out "there! stop! keep going! not yet! more, more!" etc. It's funny now, but it was serious then. You know what I'm saying! So, what has been the biggest television blunder you can remember? Was it a bigger problem back in the day when you had to watch things live, or now, when you rely too heavily on a DVR, LoL?